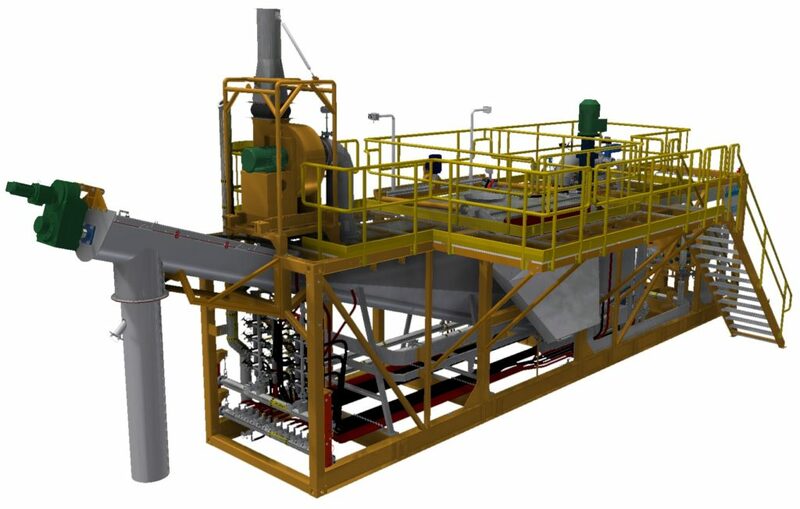 The IPCO sulphur melters are versatile and compact units offering predictable, high capacity throughput for the efficient melting and decontamination of sulphur. IPCO sulphur melters benefit from heat transfer capabilities and self-cleaning features that ensure maximum throughput rates throughout a wide range of moisture and contamination levels. They can also capture the gaseous emissions from the melted sulphur and route it to a destination of the client’s choice. The drawbacks of conventional sulphur melting pits with steam coils and open tops are eliminated. All levels of moisture content in the sulphur can be processed, with maximum capacity available when the sulphur is dry. The self-cleaning features also ensure optimum heat transfer and decontamination capability under all conditions, while the control system maintains the process parameters within ideal ranges to get the most out of every kW of energy used. IPCO sulphur melters are supplied prefabricated for fast delivery and rapid installation.